Who else really likes Ebola… or reading alot of research articles about it? 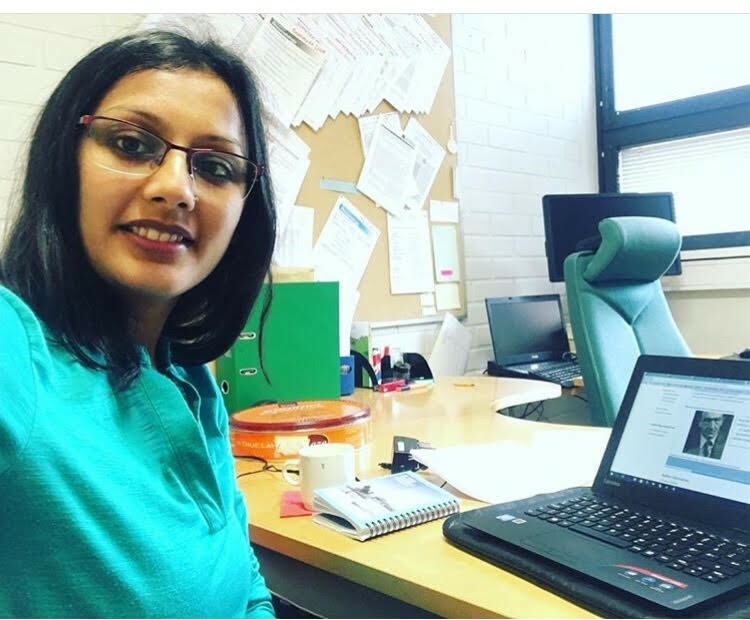 Howdy, I am Blair Rajamaki and I completed my internship with the Cochrane Work Review Group. During my internship I was able to assist in updating a systematic review. After reading several reviews in the Cochrane Library on topics I was interested in, I found a review about the personal protective equipment used by healthcare workers during Ebola outbreaks. I am interested in this topic since I was a member of the “Ebola Care Team” in the hospital I worked at as a nurse in the United States prior to moving to Finland. I was trained in how to don (put on) and doff (take off) the protective clothing so that I did not contaminate myself after caring for someone with possible Ebola or other highly infectious diseases. During the hospital training sessions I questioned how people knew that this was the correct and best way to take off contaminated equipment and was the equipment actually protecting us from the virus. Working on the update of the systematic review, I was able to get an idea of how to answer my questions. I mainly worked with Jos Verbeek on updating this review and in the process I was able to learn about quality of research. Discussions with Jos along with completing the learning modules online taught me how to be a critical thinker of research papers and go in-depth on understanding the methods used. I have already used the knowledge I gained from working on this systematic review on my own master’s thesis research project. Jos has been a great resource of knowledge for me. He has helped guide me through the scientific writing process by working on the review together and directed me to outside resources, like websites and articles, to strengthen my own writing. I highly recommend working with the Cochrane Work Review Group for an internship during the master’s program of Public Health at UEF.